1. Complete Healing of my sister-in-law, Lina Sta. Monica who is at the ICU of Wesleyan Hospital in Cabanatuan City suffering from breast cancer. 2. Complete healing of my sister Patricia L. Simangan a cancer survivor but taking medicine for PTB. 3. Healing of a growing lump on my right ear (lower portion). In Jesus mighty name I pray that this lump will subside. 4. 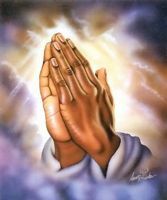 I also pray for all my sick relatives and friends and all those who have no one to pray for them. We are available 24/7 http://www.essay-experts.org fell free to contact our friendly support team!